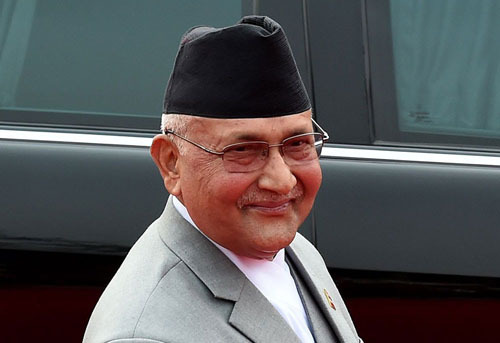 By Santosh Ghimire (KATHMANDU, 19 June, Xinhua) – Nepal wishes to enhance cross-border railroad connectivity, infrastructure development, trade, investment and tourism cooperation with China under the framework of Belt and Road Initiative, Prime Minister of Nepal, K.P. Sharma Oli, said here ahead of his visit to China. The Nepali Prime Minister, who is embarking on a five-day visit to China on Tuesday, told Xinhua during an interview that his country is fully committed to implementing the Memorandum of Understanding (MoU) on cooperation under the framework of the Belt and Road Initiative signed with China two years ago. The prime minister said that the Nepali side wants to discuss with the Chinese side cooperation modality in implementing projects under the Belt and Road framework during his visit to China. 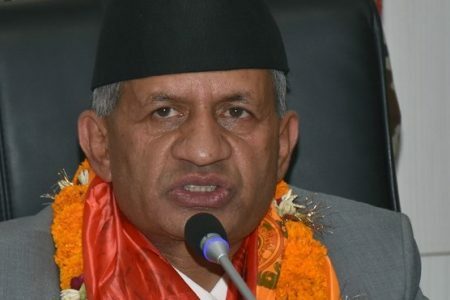 The prime minister said Nepal has recently proposed some projects in the areas of roads, railway, energy, transmission line for cooperation with China under the B&R framework. While talking about Nepal’s ties with China, Oli said that the Government of Nepal attaches great value to its relationship with China. “Our relations are based on the solid foundation of the Five Principles of Peaceful Coexistence,” he said, reiterating the country’s long-standing one-China policy. He vowed not to allow the use of Nepali territory in engagement of any activities against China. “On its part, China has always respected Nepal’s sovereignty, territorial integrity and independence. It has been providing valuable assistance for Nepal’s development efforts. Harmonious co-existence founded on the principle of good neighbourliness characterizes our relationship. It has always been our sincere desire to maintain friendly relations with our neighbors,” he said. The prime minister said that he is looking forward to having substantive discussions with the Chinese leaders on ways and means to further widen and deepen bilateral relationship and areas of cooperation. 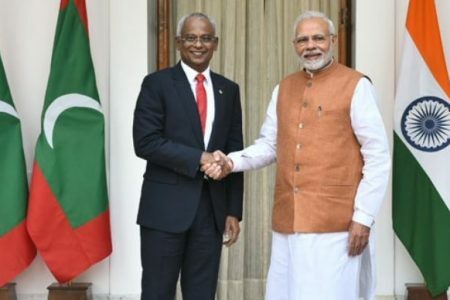 “I am hopeful that my visit will provide an excellent opportunity to build on our existing friendly relations further and expand the scope of our overall bilateral cooperation,” he said. 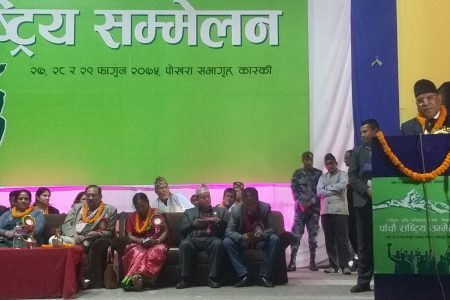 He believed that China can help a lot in his country’s socio-economic transformation as Nepal is marching ahead to achieve economic prosperity at present.